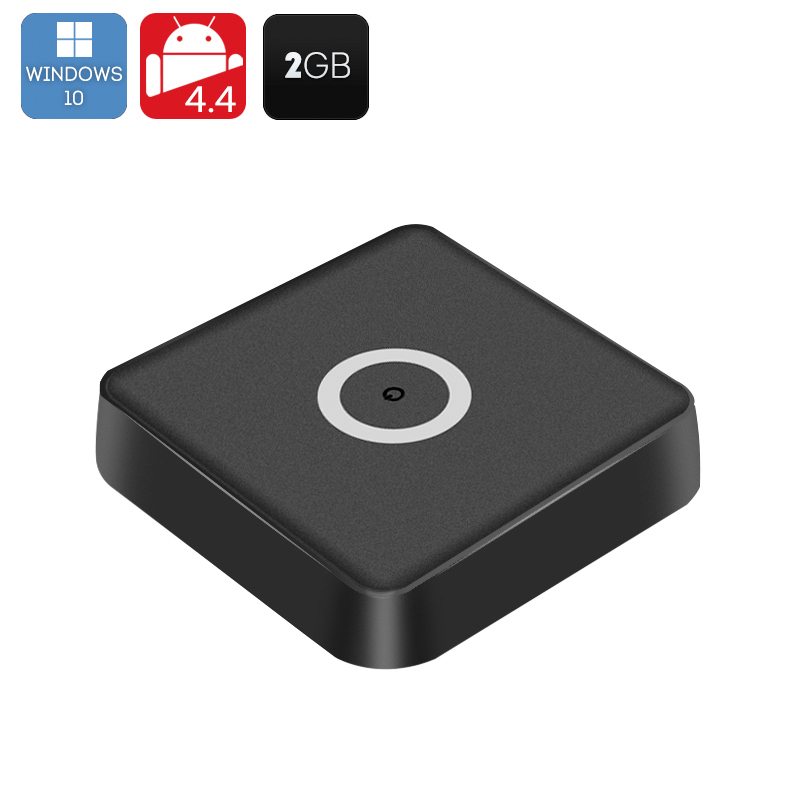 Successfully Added Tronsmart Ara IZ37 Mini PC - Dual System Hot Swap, Android 4.4, Windows 10 Home, Intel Bay Trail, 2GB DDR3 RAM to your Shopping Cart. Tronsmart Ara IZ37 is a dual operating system mini PC / TV box. It has the Windows 10 Home operating platform as well as Android 4.4 so you can select between them depending on your needs and enjoy the best of both worlds. The Ara IZ37 isn’t the first mini PC with hot swap but in our opinion its certainly one of the best. The Dual System Hot-Swap feature means you can switch between the Android 4.4 and Windows 10 Home OS systems by clicking the OS Switch option or Android icon on the user display and within a minute this smart mini PC will have swapped operating systems. Now that's Smart. Powered by an Intel processor the Tronsmart Ara IZ37 is has a basic frequency of 1.33Ghz on its quad core CPU, which is more than sufficient for most tasks, however when you want to turn up the action and demand more from this TV Box the Bay Trail-T 3735F processor delivers as it makes use of Intel’s smart Burst Technology allowing it to reach a masterful 1.83GHz on demand. When this is coupled with the 2GB of DDR3 RAM you won’t be left wanting when it comes performance. For communications you have built in Wi-Fi that makes surfing the web and downloading movies and apps effortless, there is also Bluetooth connectivity so you can transfer files from your phone or other mobile devices without the need for wires. With 32GB of onboard memory space and the option to upgrade this via the micro SD card slot the Tronsmart Ara IZ37 has plenty of storage options. This Tronsmart Dual OS Mini PC comes with a 12 months warranty. Brought to you by the leader in electronic devices as well as wholesale Mini PCs and TV Boxes, Chinavasion..